Wireless is now the expected medium of choice for network users. 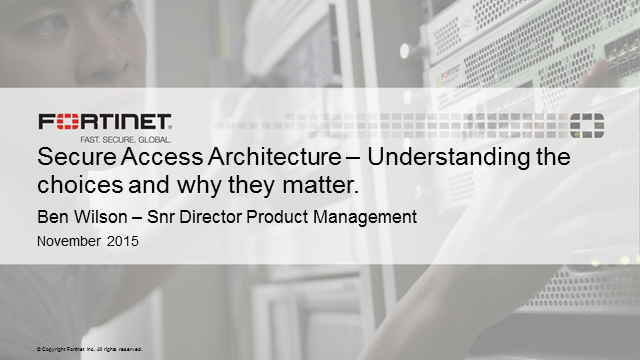 Delivering it successfully can be a challenge especially with multiple different approaches and architectures available. What is right for your organisation? Cloud? Controller? How is it all secured? This session will discuss 3 main Wi-Fi architecture types, their different advantages, the wired edge, and how to secure it all. Importantly, we will finish with what to consider when making the right choice for your needs.